Open the Windows Firewall window. 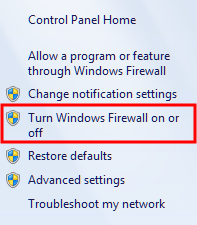 On the left side of the window, click Turn Windows Firewall On or Off. The Customize Settings for Each Type of Network dialog box displays. 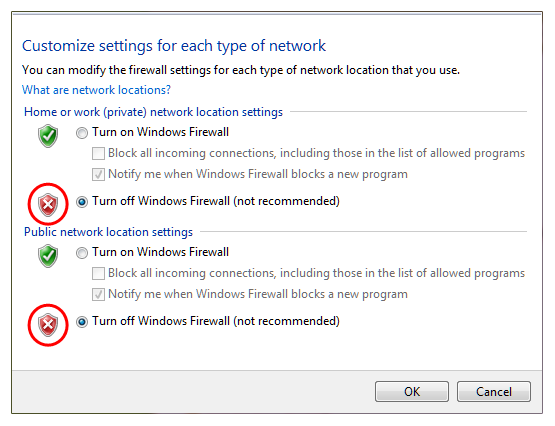 Select the Turn off Windows Firewall option for both private and public network locations.